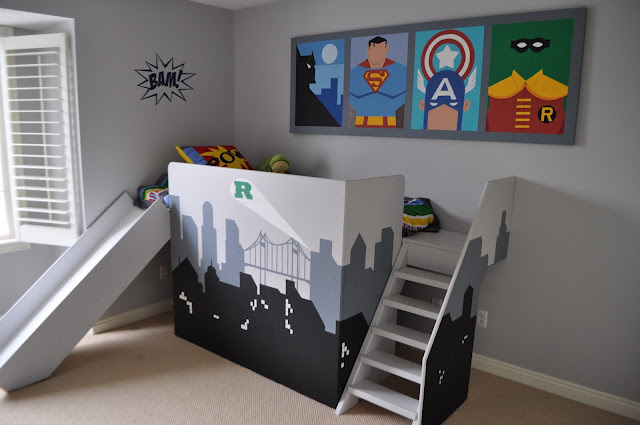 It’s possible that this is the coolest bed for boys…EVER! First it’s a loft bed with a hidden roon underneath it…awesome. Second it has a slide, that’s right a slide! Third it’s totally tricked out in a batman theme. Classy. Once you add the skyline scene you could really make this into any character theme…or even add several. Most wall decals would stick fine to the side of this as long as the surface is smooth.